Whether you have cats or dogs, or maybe both, you want them to be as healthy as possible. More people are taking a holistic approach to their pet’s health and trying to avoid problems occurring rather than having to treat them once they become ill. Organic hemp oil has many health benefits that have been known for thousands of years. However, did you know that it could be good for your pets as well as for you? Hemp was traditionally used for industrial purposes, but in recent years it has been realized that it has many health benefits without causing hallucinations or other feelings of being ‘high’. The most active ingredient in it is cannabidiol (CBD), which will not have a psychoactive effect on your pets. Just starting by adding a little bit to their food will make their coats look healthier, boost their immune system, relieve any aches and pains they have and improve their mobility. Natural dog supplements will not only improve their physical wellbeing, it can also can help to make them calmer and less stressed. The same applies to cats. The CBD oil you give to your pets is not the same as a human would have. It is important to make sure you give the right dose, as well as the correct product. There are some that have been developed by vets especially for your pets, and your veterinary practitioner will be able to guide you as to the dose your pet should have, mainly based on the size of them. Although having too much should not cause them any harm, it is better to give them just the amount they need. Although hemp and marijuana both come from cannabis plants, they have different effects. For humans, marijuana can help them feel really good and is often used for medicinal purposes. 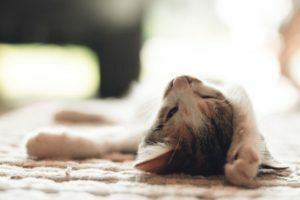 However, in pets it is likely to have the opposite effect and can cause other problems for them such as low blood pressure, anxiety, aggression, incontinence and excessive pacing. Cannabis works by connecting with receptors in the body, and you need to use the oil-based products that will connect with the receptors that will have health benefits and not the ones that will upset your pets. It is vital that if you are giving your pet natural supplements from the cannabis plant you ensure it is hemp oil based and not marijuana. It is also worth noting that in many US states marijuana is illegal, even when used as a medicine. Hemp, however, is legal in all the states because of the lack of THC, which is the element that affects the brain. If anyone tells you that cannabis derivatives are bad for your pets, just let them know that there are in fact many health benefits and that as you want your pets to be around for many years to come, you will be harnessing those benefits by giving them natural supplements that contain hemp oil.